Last Wednesday, the Sotheby’s Hong Kong auction yielded some pretty interesting and surprising results. As always, the auction presented some remarkable and unique pieces, however not all performed as expected. In this article we will be comparing this year’s auction to 2017’s, and we will briefly be looking at the lots that did and didn’t sell. 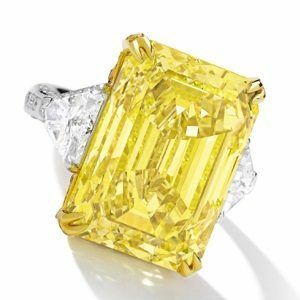 First up we have a beautiful 30.16 carat, VS1 clarity, Fancy Vivid Yellow diamond that sold for $2.8 million (or $94,290 per carat.) During its pre-auction analysis, this stone was valued between $2.4 million to $3.2 million, making it fall in the middle of the estimates. 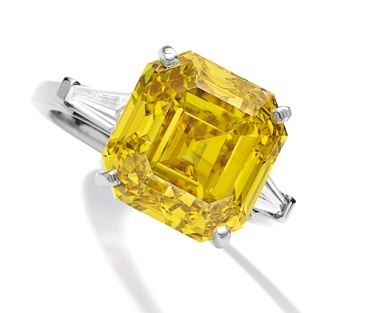 Not many Fancy Vivid Yellow diamonds are available for purchase whose size is above 30 carats. As we know yellow diamonds are among the most common, however a stone of this magnitude and size can definitely warrant the price it was sold for, which is very respectable. Another notable feature of this gem is that it had to undergo major cutting modifications so it can attain its current grading; otherwise it would have gotten a Fancy Intense rating, significantly reducing its value. Next on our list is a truly beautiful 5.01 carat Fancy Vivid Purplish Pink. 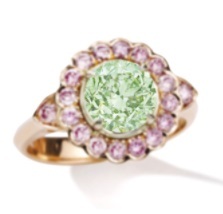 We had our eyes on this stone since the pre-auction and were surprised it didn’t yield a higher price tag. Despite not achieving our personal estimates (2.5 times its current price), the gem still managed to sell for approximately $2.5 million (a little over $491,000 per carat) which was near Sotheby’s pre-auction high estimate. The potential reason behind this price might be due to the diamond having a half certificate, with the clarity rating never being disclosed. Half certificates usually signify a stone with an I1 or an I2 rating, however some who say the gem up close described it as an SI2. Generally speaking, diamonds with such color saturation and size (and high clarity) can easily achieve 3 times the amount mentioned above. Up next, we have another yellow diamond beauty, in the form of a 10.30 carat Fancy Vivid Orangey Yellow stone that yielded approximately $1.4 million (translating to roughly $135,000 per carat). 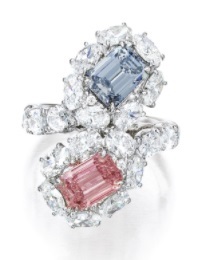 A rather pleasant surprise, as the gem fell short of only $10,00 off of the high pre-auction per carat estimates. This can mainly be accredited to the orange modifier, which as we know from our article on color modifiers and undertones, can lead to significant value appreciation. Other noteworthy characteristics this stone had were its excellent symmetry, fine polish, and IF clarity rating. This was undoubtedly a true piece of art. 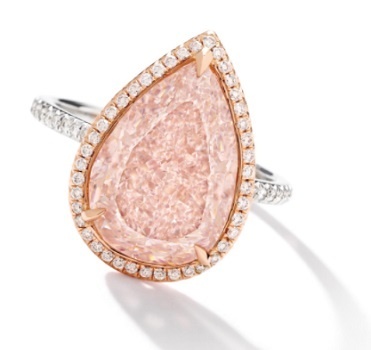 Ultimately selling for approximately $1.1 million (or $169,600 per carat), the next piece on our list is an orangey pink, 6.40 carat, IF clarity diamond. Quite contrary to the previous stone, the orange modifier led to significant price discounts for the stone. We go into more detail as to why that is in our article on modifiers, found here. Despite the final price paid, we here at Arpege still find this piece to be truly marvelous! Finally, we have the 1.97 carat, Fancy Intense Green diamond which ended up going for approximately $596,300 (yielding around $303,000 per carat) closer to the low pre-auction estimate of $509,000. The stone had been re-polished in a way to make the face appear as to have a Fancy Intense Green rating, however, the rest of the body appeared to be much closer to a Fancy Green rating, potentially yielding more that its true value might be. To many, a diamond such as the one depicted above not being sold is insane, however there is good reason for this. The headline 14.18 carat Fancy Blue diamond was sold at auction only 2 years ago for $261,000 per carat. As we saw from one of our previous articles, it takes decades for a diamond to appreciate, so the low end $415,000 per carat asking price, for a weaker colored stone was unjustified. 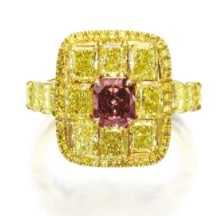 Next on our list is the 0.62 carat Fancy Red diamond. This was very surprising, as the title of red diamond alone should have investors flocking towards it, especially for its size. 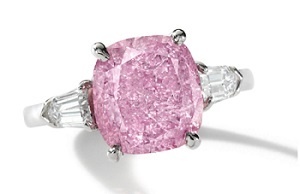 The only potential obstacle we can think of, for buyers not bidding higher enough prices would be that the stone’s color saturation was not very strong, making it look more like a deep pink rather than red. 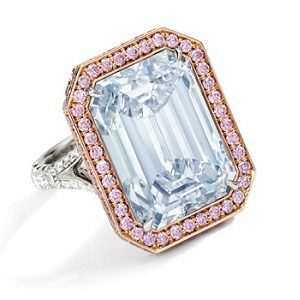 Finally, another piece we expected would perform quite well but didn’t was the ring holding a 1.26 carat, IF clarity, Fancy Intense Blue diamond and a 1.15 carat, IF clarity, Fancy Intense Pink diamond. Despite its beauty, the lot failed to reach its $1.2 million low valuation price, yielding only $1.1 million. With more auctions approaching soon, we are looking forward to keeping you up to date! 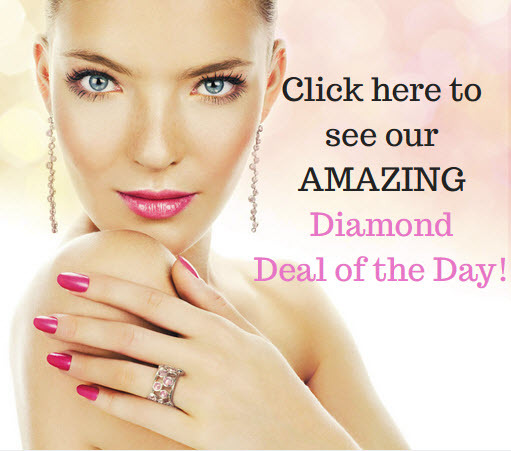 Did you feel that another diamond should have been on our list? Where you anticipating different results? Let us know! And as always feel free to follow us on Twitter and LinkedIn. 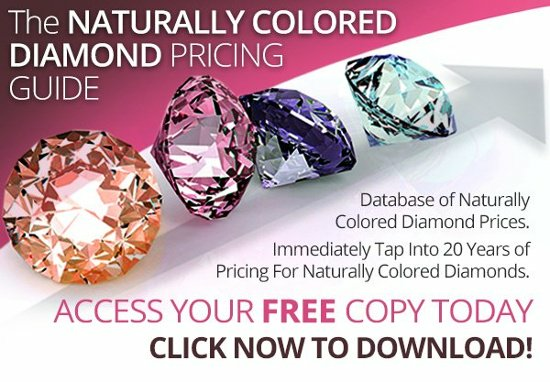 How Much Higher Can Fancy Colored Diamonds Prices Go?